Ms. Falcon has extensive experience in business valuation for financial and tax purposes, project management and corporate finance. Prior to joining Valuation Research, Ms. Falcon held the position of manager in corporate finance advisory for Grant Thornton LLP in San Francisco. 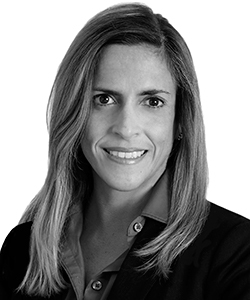 She previously held positions at KPMG LLP in London, PricewaterhouseCoopers LLP in New York City, Deloitte Financial Advisory Services LLP in New York City, and Citibank, NA in Caracas, Venezuela. She earned an MBA from William E. Simon Graduate School of Business Administration at the University of Rochester. She holds a bachelor of arts in economics from the Universidad Catolica Andres Bello in Caracus, Venezuela.